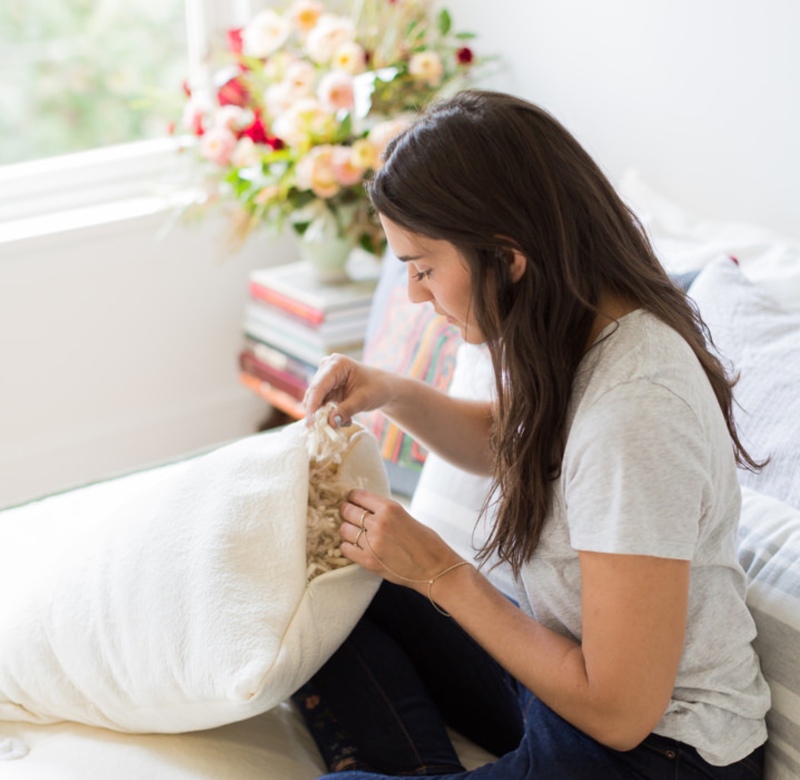 Our green pillow fill is made from upcycled GOLS organic latex and natural Kapok tree fiber, in a 70/30 ratio by weight, and are ideal to add life to your existing pillow or increase its support. Refill stuffing ships in a reusable canvas bag. Our non toxic pillows come voluptuously stuffed, delivering a medium-plush feel. However, if you prefer to change the feel of your existing pillow — or simply extend its life — it’s easy. 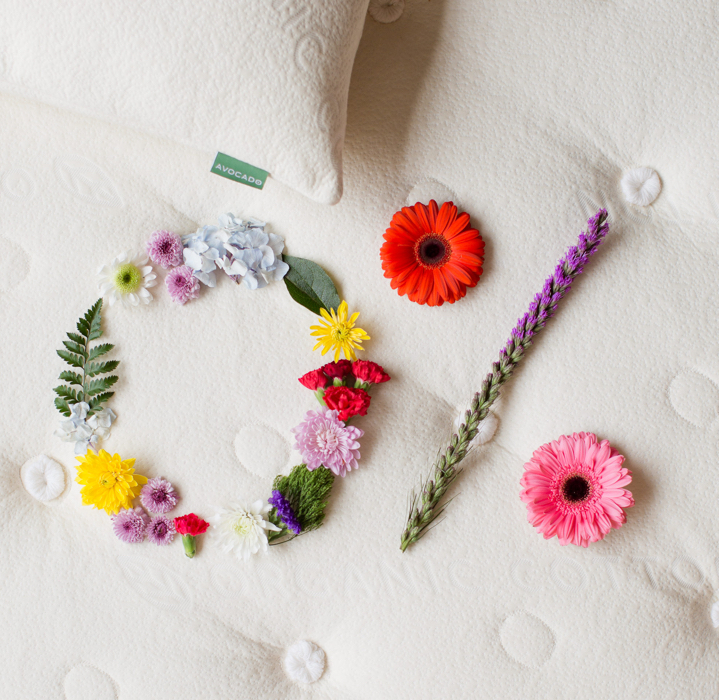 A convenient zipper on our pillows allows you to add fill and adjust it to meet your ideal stuffing volume, firmness and sleeping preferences. For proper head, neck and shoulder support, this can make a significant difference in your sleep experience. 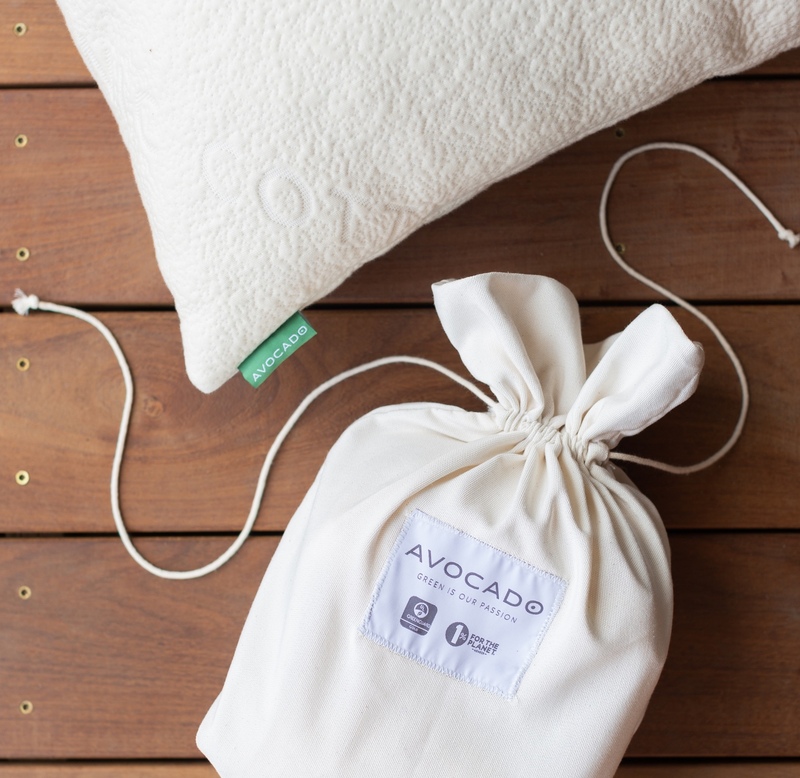 Our Green Pillow Refills ship in a handy, reusable canvas bag, and contain either 1/2 pound or 1 pound of stuffing, made in Los Angeles from the same upcycled natural latex shreds and natural Kapok tree fiber that we use in our best-selling pillows. The 1/2 pound refill bag is enough to add volume to one pillow, whereas the 1 pound refill bag is generally enough for two. For reference, our Standard pillow uses 3 pounds of fill; the Queen uses 4 pounds; and the King, 5 pounds. 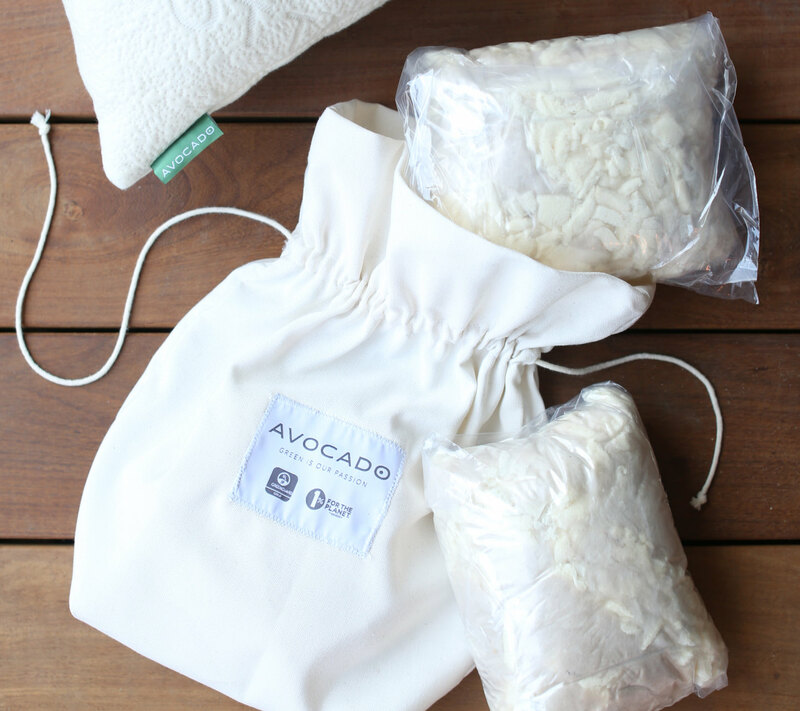 Simply use the zipper to open your existing Avocado Green Pillow. Add as much, or as little, fill to suit to your support needs and individual sleep preferences. Then keep any extra fill in the reusable canvas bag for future use. Our pillow fill is is Greenguard Gold Certified by UL Environment. It means they’re scientifically tested to meet the world’s most rigorous emissions standards for chemical exposure and pollutants, such as volatile organic compounds (VOCs), formaldehyde and phthalates. Few pillows qualify for this gold standard. For a deeper dive into indoor air quality, pollutants and your health, visit our Greenguard Gold Certification page. 1/2 Pound Package: Contains one 1/2 pound refill bag. 1 Pound Package: Contains two 1/2 pound refill bags. 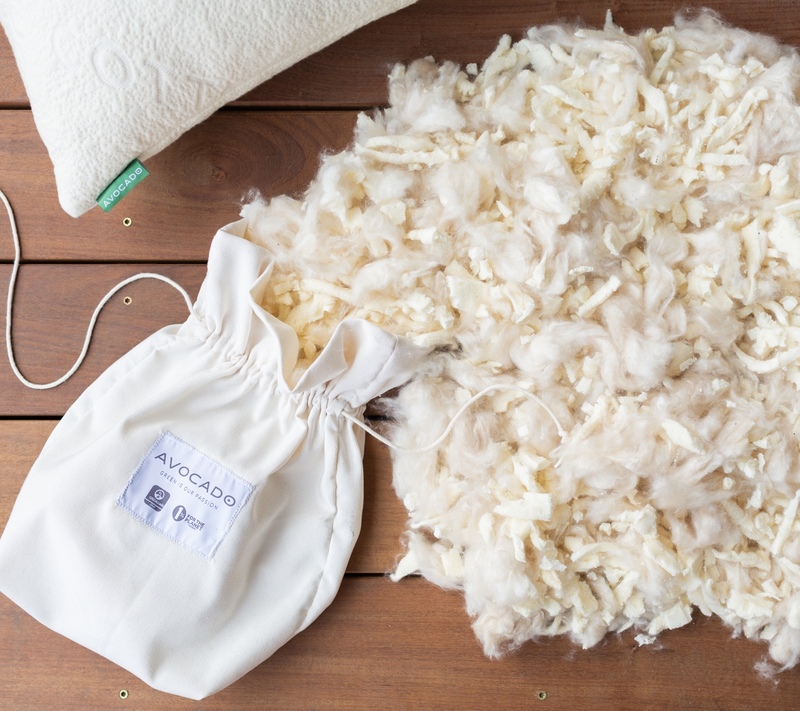 Each refill bag contains a 70/30 blend, based on weight, of 100% GOLS organic certified latex, up-cycled from the production of our best-selling green mattresses, and 100% GOTS organic certified natural fiber from the Kapok tree. 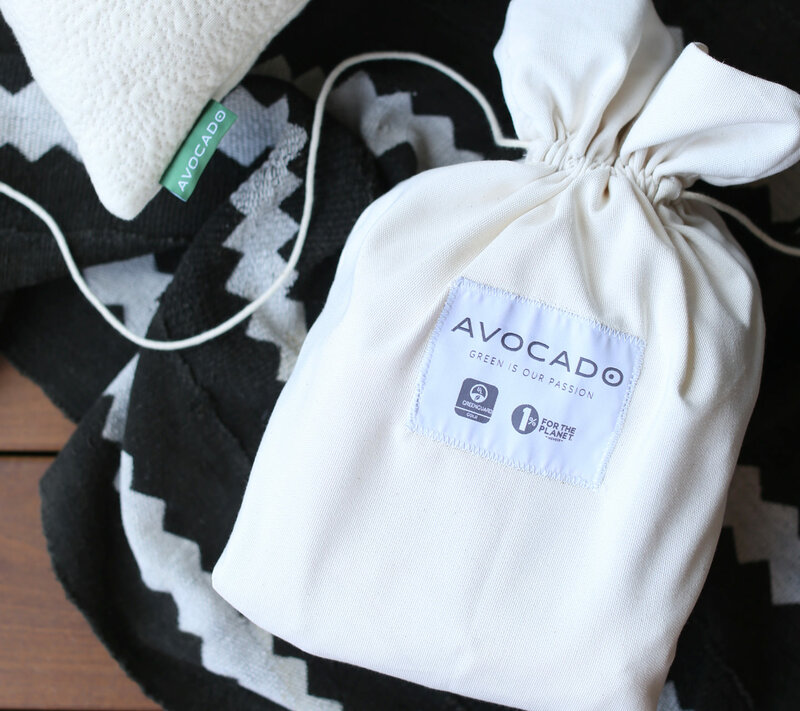 Avocado vegan products contain no animal products or animal by-products, such as wool. We do, however, produce products that contain wool, and shared machinery and facilities are used between our vegan and non-vegan products.